Part of the Dr Marten's original Back-To-Basics collection, this boot embodies the classic DM's styling and makes as much a statement today as ever. The mid-calf 1914z is made of smooth leather and has a trail of fourteen eyelets that climb the lace-up all the way to the collar line. 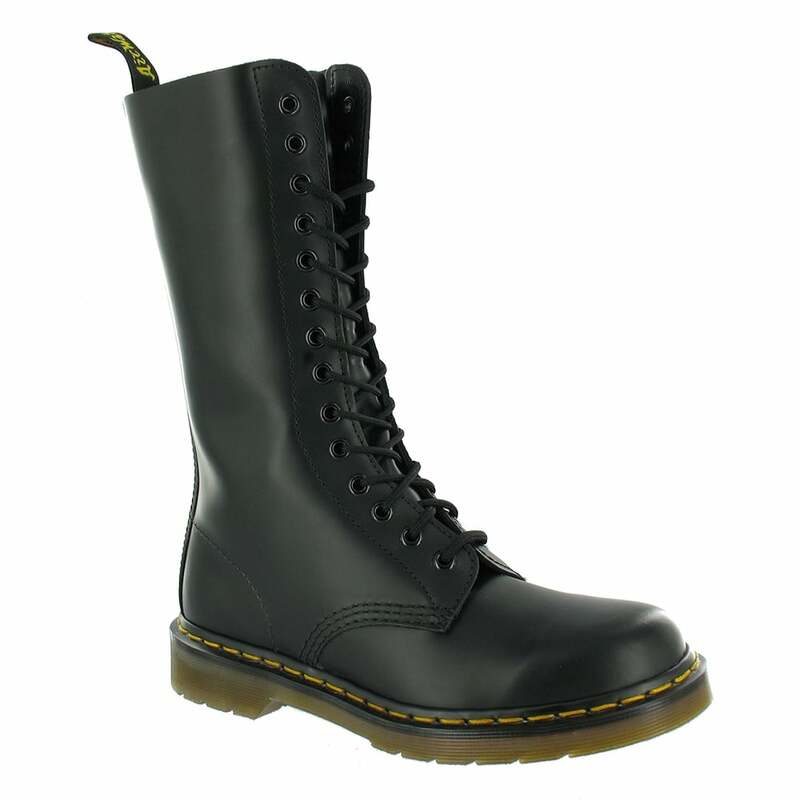 With the trademark air cushioned sole unit the boots are a comfortable wear and are detailed with yellow z-welting.